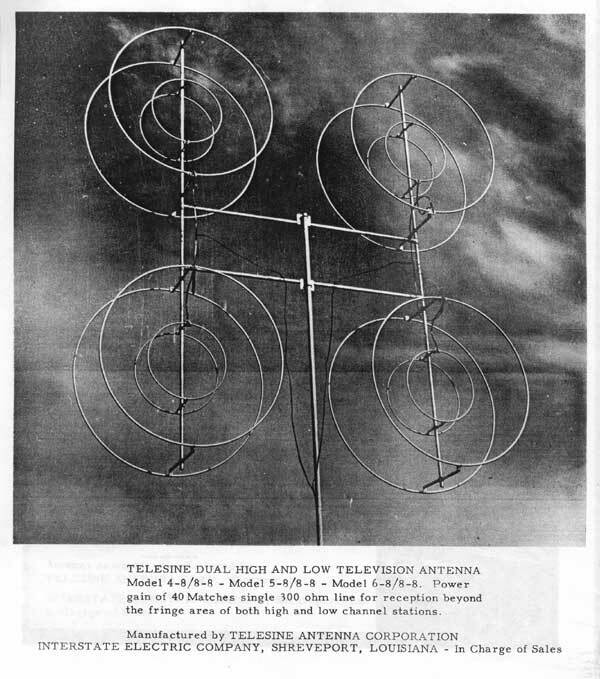 Here are some pictures of the Telesine Television Antennas and the installation of one. There wasn't that many channels. 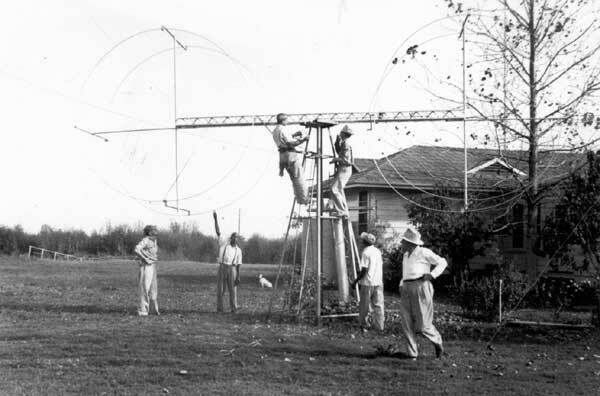 The Telesine antenna was invented by W. E. Antony of Shreveport, LA, in the late 40s. 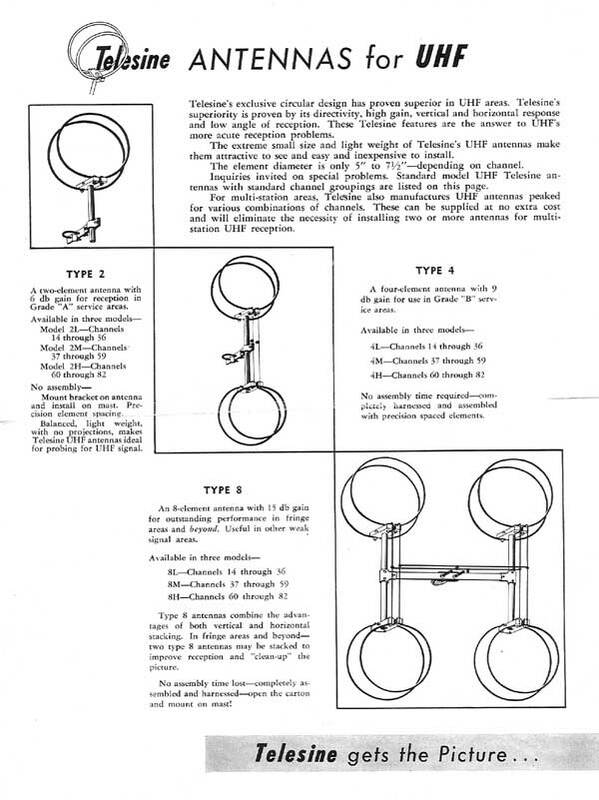 high and low band VHF, and in several UHF versions. Look at the picture above; The installation on this TV antenna would take some doing. UHF reception, I don't believe they were thinking about TV antenna amplifiers or HDTV antennas. 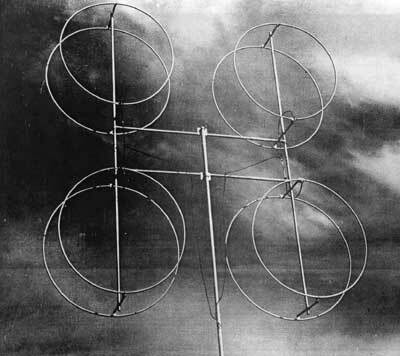 The TV antennas pictured below are designed for high and low television reception. Please shop here at our on line store for all of your TV antennas, amplifiers, rotors, or mounts. If we can help you call us at 1-989 875 4902.